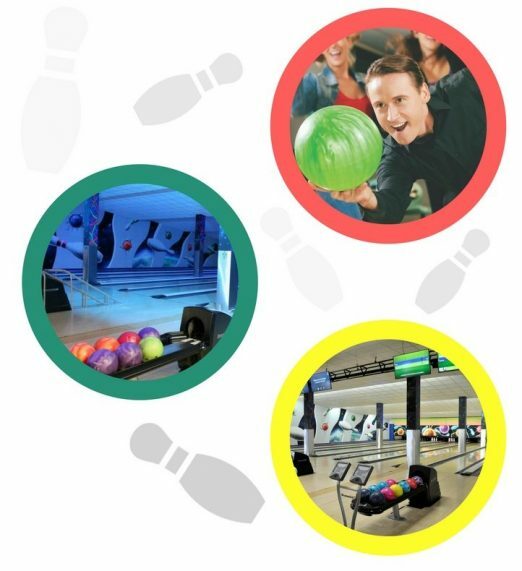 Experience 8 bowling lanes with Brunswick, fully computrised graphic scoring system and automatic bumpers on all lanes. This makes the game more enjoyable for the younger bowler! We provide group bookings for Birthday Parties, School Tours, Social Clubs, Family Outings, Youth Clubs, Special Needs Groups, Retired Groups & Corporate events. For a truly exciting atmosphere why not try bowling in the dark? As the house lights go down, the UV lights come on and everything glows! Glow bowling features at various times each day. We run bowling leagues from September – May. We have ladies morning leagues, singles, doubles & team leagues at night. Booking is advisable during holiday periods.